It was a Monday morning around 7:30 AM. I walked into the training room and glanced around. I’d been in this training room many times before but something felt different… I just couldn’t put my finger on what it was. I carried on and got prepared for the morning session. We were running a Quick Changeover Kaizen Event that week and my plan was to run through some basic training that morning… unfortunately Gemba Academy didn’t exist in those days so I had to do the training on the old fashioned way! As I got my computer plugged in I continued to feel this weird vibe and borderline negative energy in the room. It was really starting to bug me. Right about that time I spotted him. A man, whom I’ll call Derek, was sitting in the back row of the room. Derek was in his late 50s. I’d seen him around the plant many times but had never had the opportunity to talk to him. 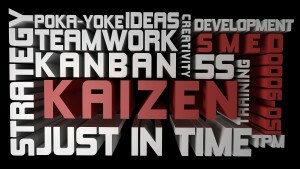 And, as it turns out, I could immediately tell that Derek wasn’t happy to be on this kaizen event team. He was slouched back in his chair, his arms were crossed, and he most definitely hadn’t woken up that morning with a bright and cheerful smile on this face. I didn’t engage Derek right then and there… instead I decided to just press on and start the session. We all went around the room and introduced ourselves… when it was Derek’s turn he mumbled his name and didn’t really offer anything else to the team. Since he was in the very back of the room Derek was the last person to talk so I thanked him and pressed on with the training session. We had a quick overview on what QCO was all about and immediately engaged the process. We started by going to gemba, or the place the work was done, in order to see the machine we’d focus on. I did notice Derek’s confidence, and comfort level, rise the minute we stepped onto the shop floor. This was his world and there really wasn’t much Derek didn’t know about how the shop ran. You see, Derek had worked at this plant for more than 30 years and was extremely knowledgeable on how things worked and operated. Unfortunately, Derek was never really properly introduced to lean or any sort of continuous improvement for that matter… so all this talk of kaizen events, and quick changeover, was completely foreign to him. That’s why, as it turns out, Derek didn’t arrive with the best attitude that particular Monday morning. Now, part of the pre-work for this kaizen event had been to video tape several changeovers. So, after we visited the machine, and saw what we would focus on, we went back to the training room and began to dissect the recorded changeovers. We broke all aspects of these changeovers into individual elements and noted how long each element lasted. For example, one element was summarized as follows, “Remove tooling plate” and it started at the 2:05 mark in the video and ended at the 3:00 mark totaling around 55 seconds. The team was really getting into this process… and while he wasn’t actively participating Derek seemed to be leaning into what we were up to more than he had been. He was definitely paying attention and even offered a few suggestions as how to break the process down into meaningful elements. As the event continued that week Derek became more and more engaged. In fact, he eventually caught fire and really helped our team come up with some immediate, and incredibly productive, improvements. By the end of the event we had managed to reduce the changeover time by more than 50% and there were still improvements identified to be done after the event to make it even better. And while the increased productivity was awesome… that wasn’t the best part of the week for me. You see, during the end of week report out the kaizen event team members presented their results to the plant leadership. The presentation wasn’t fancy or glamorous. They used a flip chart to summarize their improvements and even brought some of the improved fixturing to the meeting to show it off. All the team members took a turn to share some aspect of the event… and, eventually, it was Derek’s turn. Now, to be clear, speaking in front of the room DEFINITELY wasn’t one of Derek’s favorite things to do… but he battled through it and talked though a few bullet points. When he was done with his part the General Manager of the plant asked Derek how he felt about the event. I’ll come 100% clean… sweat began to form on the top of my head as I really had no idea what Derek was about to say. After the question was asked Derek paused, looked down at the ground for a few seconds, and then lifted his head and looked the GM directly in the eye. Tears had begun to well in Derek’s eyes as he commenced to explain how no one, in the 30 years he had worked at this company, had ever listened to his ideas like his kaizen event team members did that week. Derek was deeply moved by this and his raw and honest emotion swept over that plant leadership team like nothing I’d ever seen before. So, I’m going to ask you all a question. Do you know of any Derek’s in your facility or office or hospital? If so, can you imagine if every Derek you knew could spend 3 to 5 days running a kaizen event and be totally transformed? 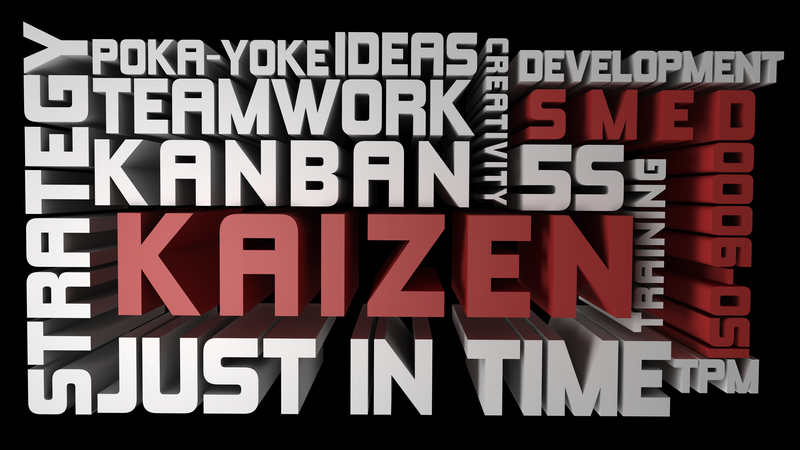 Now, to be clear, I don’t mean to say a single kaizen event will transform each and every employee you have into fanatical lean problem solvers. But, then again, you just never know how someone’s life can be changed by investing a little time and energy into them. I’ve seen some incredible things happen… perhaps you have or will too! Thank you Gemba.Good Story.Currently I’m working with groups kaizen and I’m exposed relationship with people like talk the story. the end the people is decided to work to do a Team .